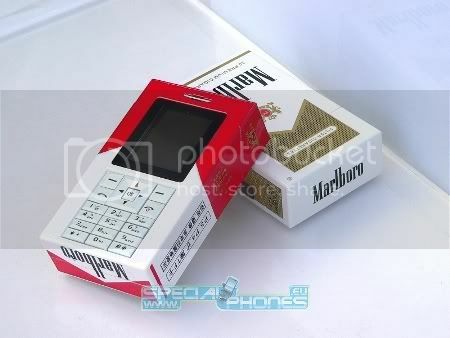 Here’s a cell phone in the form of a cigarette box, a perfect choice of a smoker. 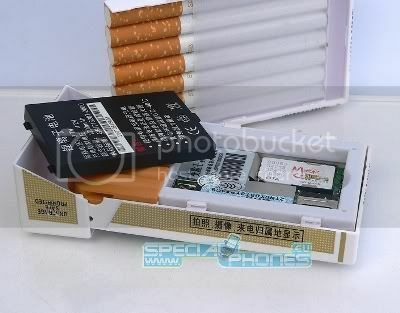 It functions like a normal cell phone, besides this you can also store your cigs within it. 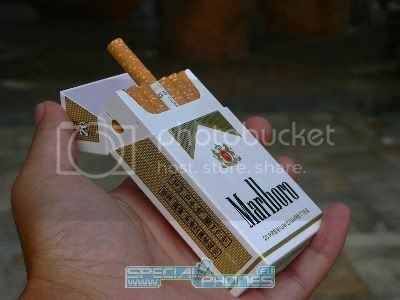 Isn’t it a killer Cig box? Well it is. It also has a VGA cam located on the side of the box. Great for spying huh! The Dual-band phone sports a 1.8″ LCD, 260’000 colors, 176 x 220 pixel resolution. It has a storage capacity of 128MB which can be extended further. The phone supports JPG, GIF, MP3, MP4, MIDI, 3GP file formats. The cig phone is pretty light too, it weighs just 80g. The phone is priced at $140 and is available in two colors- Red and white. If you liked it you can get one from specialphones.com.